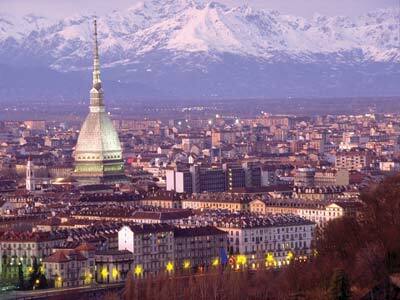 Ah, Torino…unromantically billed as “the Automobile Capital of Italy.” But, I love the images of Torino’s skyline, offset by the surrounding Alpine mountains, and with the Mole Antonelliana towering beautifully above. The Mole is even more striking when seen against a pastel pink and blue sky. It is considered the tallest museum in the world. Stylistically, it doesn’t have what I would consider typical Italian architecture, and almost looks more eastern in character to me. Perhaps this is the Jewish influence, as it was originally constructed as a synagogue. Now, onto the competition. In keeping with prior scheduling gaffs, coverage begins smack dab in the middle of Kostner’s program. Perhaps I should be more forgiving, as it appears to be truly “live.” Sadly, I miss out on seeing Makarova’s moment. Thankfully, it can be found here, complete with her Johnny arms and telegraphed jumps, as well as some great spins and energy throughout. Miki Ando: I will not miss this “Requiem” program. OMG, down on her 3Lz! This is NOT good…well, it is for Nagasu and Flatt. I can SMELL that 3rd US berth (lucky Ashley)! There’s just nothing special about her skating. She’s just going through the motions. The catch foot spin (ie: half-Biellmann, where the skate is placed and held near the head) has to be the ugliest move in skating. It should be banned! Wow, a smile from Morozov at the boards? That effectively took her out of medal contention, barring meltdowns from others.